Sebastian is fed at the Penguin Izakaya Ryote in Tokyo. 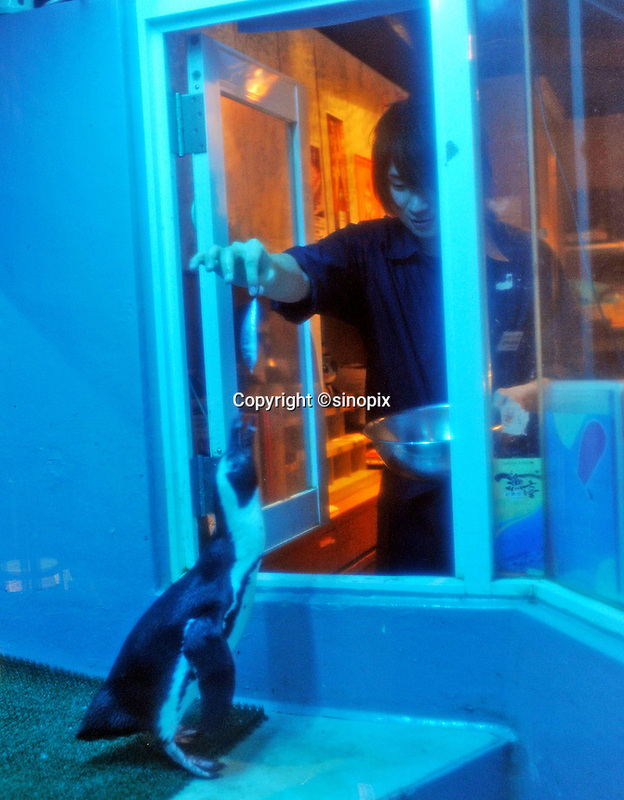 The eight and nine year-old penguins have been in the restaurant that specializes in fish for the past six years. The three and a half kilo 70 cm tall birds are originally from South Africa and they get through 25 fish meals of horse mackerel and sardines each day.. .Photo by Richard Jones/ Sinopix.